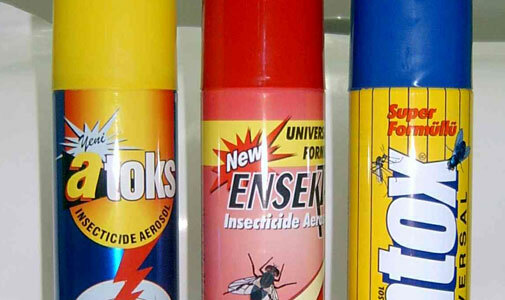 Insecticides: These pesticides are used for controlling insects. Herbicides:These pesticides are used for destroying weeds. Fungicides: These pesticides are used for killing fungi. 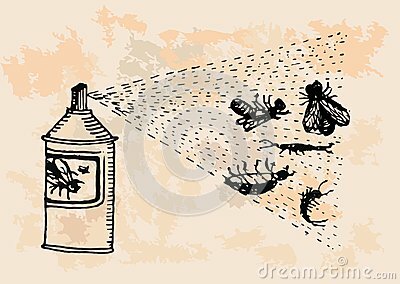 The poisonous chemicals which are made by humans and used to control or kill the insects are called insecticides. Those insecticides derived from minerals are called inorganic insecticides. They kill or destroy harmful insects. They can destroy all the stages of the lifecycle of harmful insects. As a result, there is increase in crop yield. They help to control several diseases by killing germs. 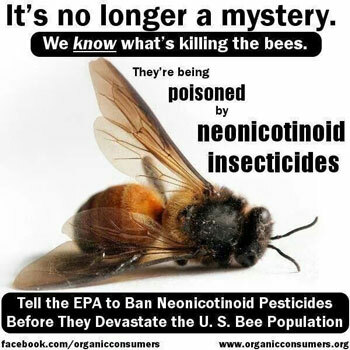 Most of the insecticides are non biodegradable. Hence, they are harmful to insects and plants. Insecticides leave harmful deposits on food crops. The use of such food crops has adverse effects on the health of human beings and all other animals. They can pollute lakes, ponds, streams, etc. They destroy useful insects also. The spray of insecticides can affect plants and animals too. The name of the insecticides should be labelled clearly. While applying it, the mouth, nose and eyes should be well covered. It should be used in little amount. We should be careful while using it. After spraying or dusting it, hands and other body parts must be properly cleaned. Pesticides are chemical compounds which are used to control or kill the pets. Insecticides are used for controlling insects. 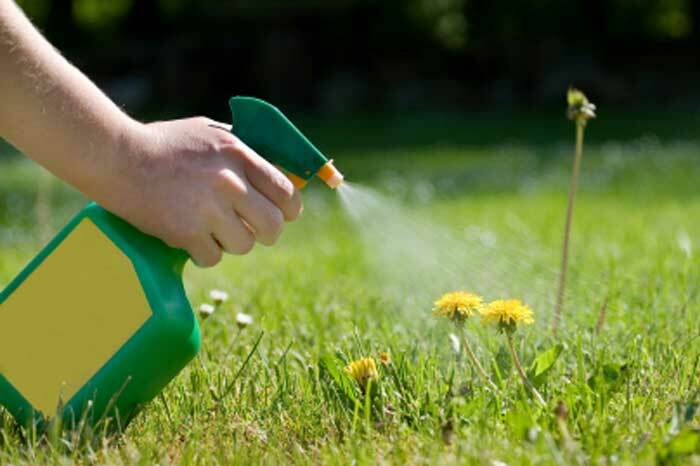 Herbicides are used for destroying weeds. Fungicides are used for killing fungi. Miticides are used to destroy mites. Toxic Food -- Poison On Our Plate? Write the name of two insecticides, one containing chlorine and the other containing phosphorus. DDT is the chlorine containing insecticides and Malathion is the phosphorus containing insecticide. What are insecticides? Why is their use discouraged? The poisonous chemical substances used to destroy or kill harmful insects are called insecticides. The use of insecticides is discouraged because it kills the useful insects like honey bee and makes chemical pollution in environment. Write the name of a carbamet insecticide. “The use of insecticide is not an interest but an obligation”, justify this statement. 'Baygon' is the name of a carbamet insecticide. Insecticides are not good for health. Their use is harmful to other animals, birds and humans. But, without their use, it is not possible to grow the required amount of food. So, "the use of insecticide is not an interest, but an obligation". From which material is the inorganic insecticides prepared? Mention its uses. a. The help to destroy the annoying insects. b. They help to control several diseases. Write the full form of DDT and BHC. The plastics that does not become soft on heating and cannot be remolded into desired shapes is ______. Which one is organic insecticides? ______ are used for controlling insects. Herbicides is used for destroying ______. Any Questions on 'Insecticides and Pesticides '?